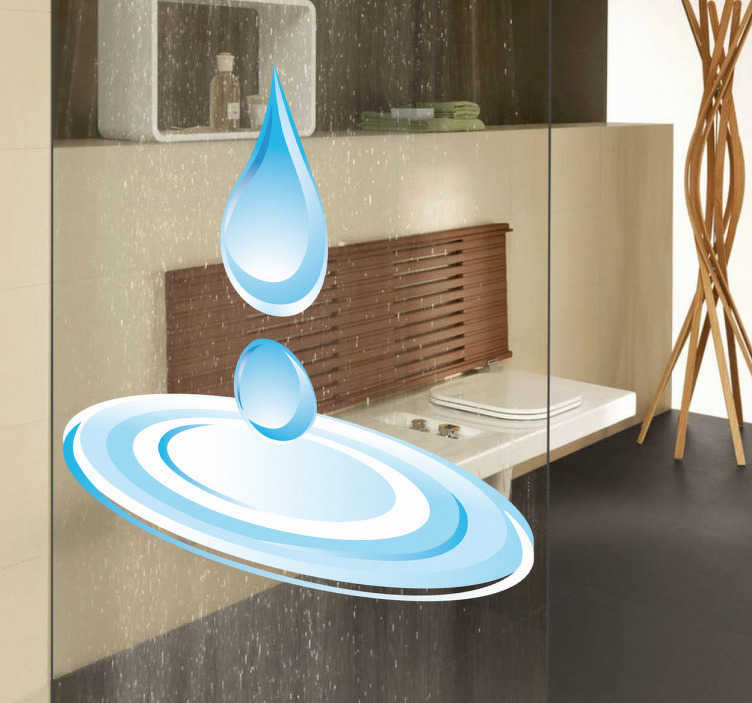 Sticker of water droplets creating puddles in your bathroom. Decorate your bathroom with this creative and unique decal to change its appearance to a more calm and natural space. Are you looking for a sticker to fill that empty area in your bathroom? This is the perfect vinyl to innovate and bring tranquillity to your bathroom! You have nothing to worry about when it comes to applying this original sticker, it is easy to apply with no air bubbles at all and it is waterproof!